What land is next? 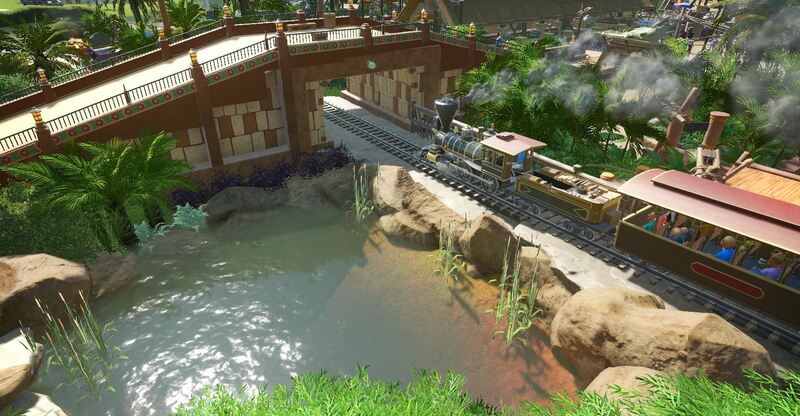 I'm getting close to wrapping up the main Africa part of this park and looking for some direction on what to do next. Sneak peek at the early stage of the Africa build. 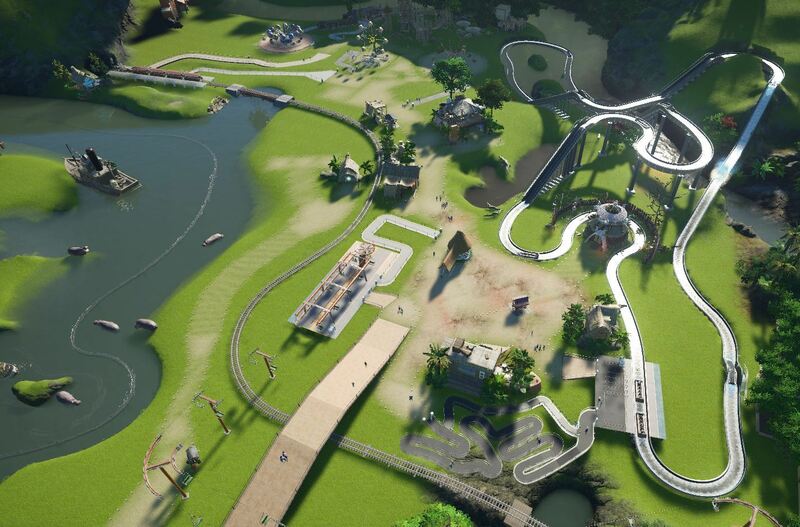 This is how Crocodile Creek (log flume) is starting to look. Ah, les cocodries. Moi, j'espère qu'ils ont mangent bien! No worries...they are well fed. Back to the Port of Call. Couple more night shots. I think like I live like I work like I love.....voluminous and disjointed. Get used to it. My only real question is who the heck is the pilot of that plane?!? I hope he's not an employee! LOL - between you and BH...there seem to be some hangups about all the crashed vehicles in my park. I will have to cut back in the future lands....NOT!!!! And thanks for the great comments as well. Couple of artsy shots of the boat dock area. Love that map! Great work, as always. Amazing map! Definitely a very inspirational project that I will definitely be using as a reference whenever it comes to building tropical/adventure areas. Here is a overview video of this section of the park. This will have to hold you all over for a week or so, as I will soon be on vacation for a while. Just finished watching your video, wowman. And oh man, I sure hope you're able to resuscitate this park after your reinstall. It would be tragic to loose all this. I'm looking forward to seeing the Africa/Egypt section. Back in the good old USA and getting my schedule back to normal. Here is a video of how the boat ride looks through this land. Gorgeous work, man! I love this park. Very, very, very neat looking! Love the ground view, very cool experience. You're much further along on this than I had realized. Is this a recently taken video? Because that's not really a bad framerate considering all you have going on here. It's easy to forget while watching this that we don't technically have much building and scenery pieces for this theme, but you've taken what little was available and made it go a very long way. You also excelled at building up everything on both sides of this path just high enough to hide what's behind them but not unrealistically high. A walkthrough like this really makes me feel like this place exists. I really liked the walk along that narrow exterior path, kind of like a scenic backstage area that's open to the public. That's something I really want to steal. Steal away. Yes this was done recently, but recorded with CheatEngine (I think at 5%)...so don't be fooled. I just watched all the videos. I love all the details, diverse areas and architecture, and the beautiful landscaping. 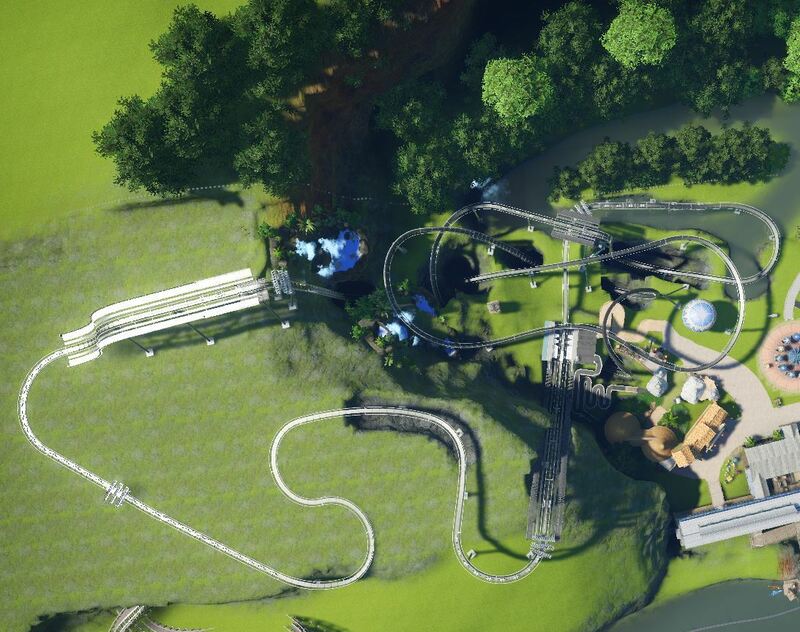 Another great park! THX again guys and glad you can enjoy this. Here is a recap video of this land. Nice video of this area. The rides are well integrated and themed. It looks interesting and realistic as well. You add many details and the landscape is stunning. The video presents the park in a great way so that I want to visit. We will now move away from the Port of Call and head towards our first adventures. We head to the dangers of Africa. This land will really be several smaller sections that we will look at individually. 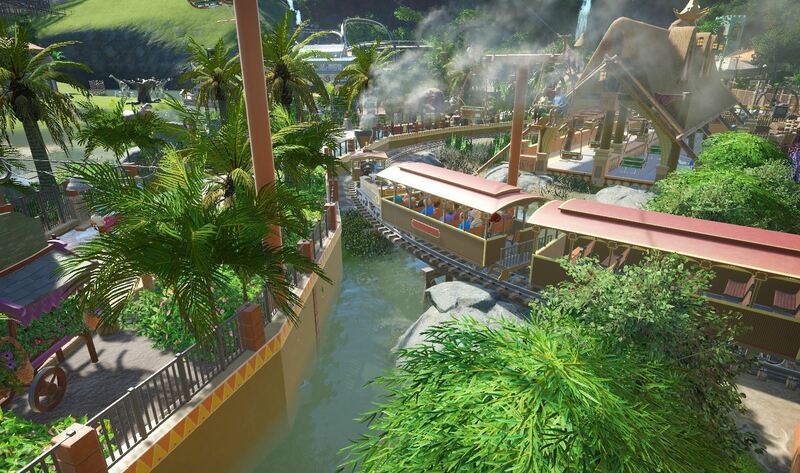 First we will have Harambe, where you can explore the village, catch a sky ride to other parks of the world, ride through the crocodile infested waterways, or take a spin on some more gentle rides. We will then explore the Congo where you can come face to face with great apes and take a ride over Gorilla Mist Falls. Savanna Island is next where exciting thrills can be found, great eats and wondrous animals. 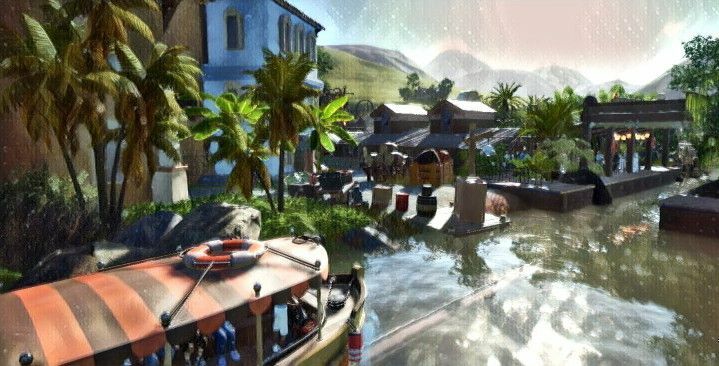 You can also catch a boat ride on Adventure River to other parts of the world. First let's look at a quick drawing of what my mind came up with to inspire this land. 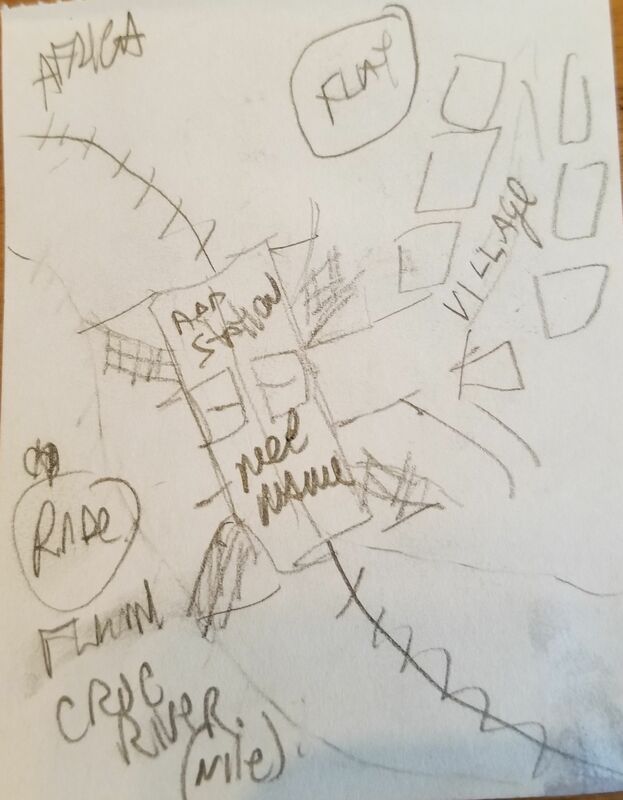 Not much there, except notes that there would be a train station, a village and a flat ride in the village. Also mention of a crocodile log flume ride. Here is a early build photo. 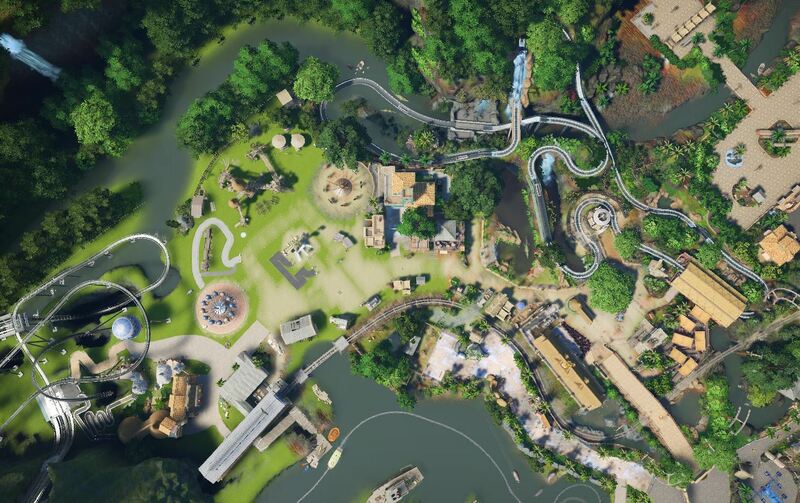 Just a few buildings placed, and the main rides are also built, but very little detail has been worked on yet. 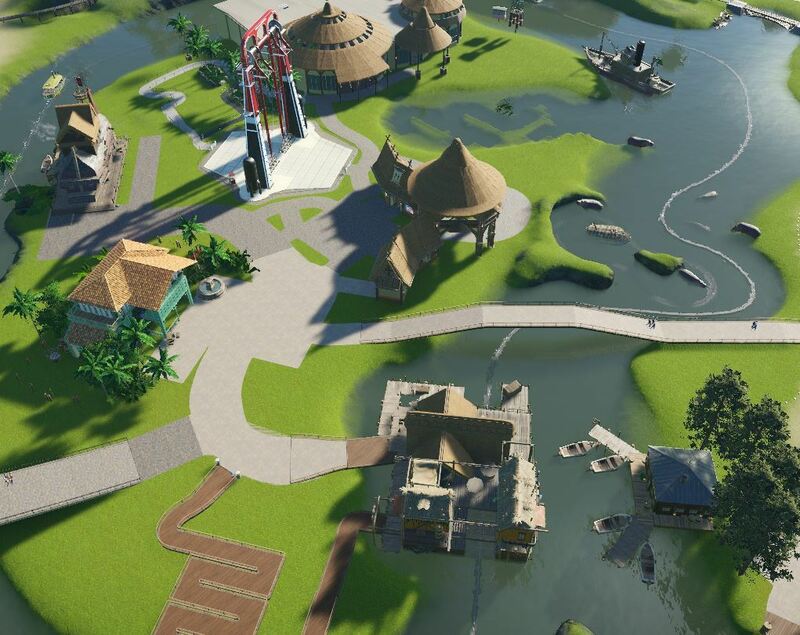 Savanna Island in its very early stages as well. We will explore this island in much more detail later on. Here is a different shot of the Croc Creek ride. 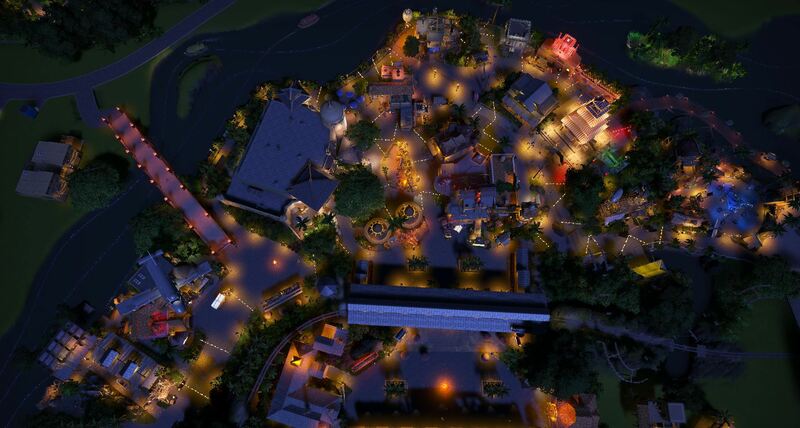 The queue and surrounding area is completed, but all the detailing around the ride itself still needs to be done. Africa will be made up of 4 different areas. 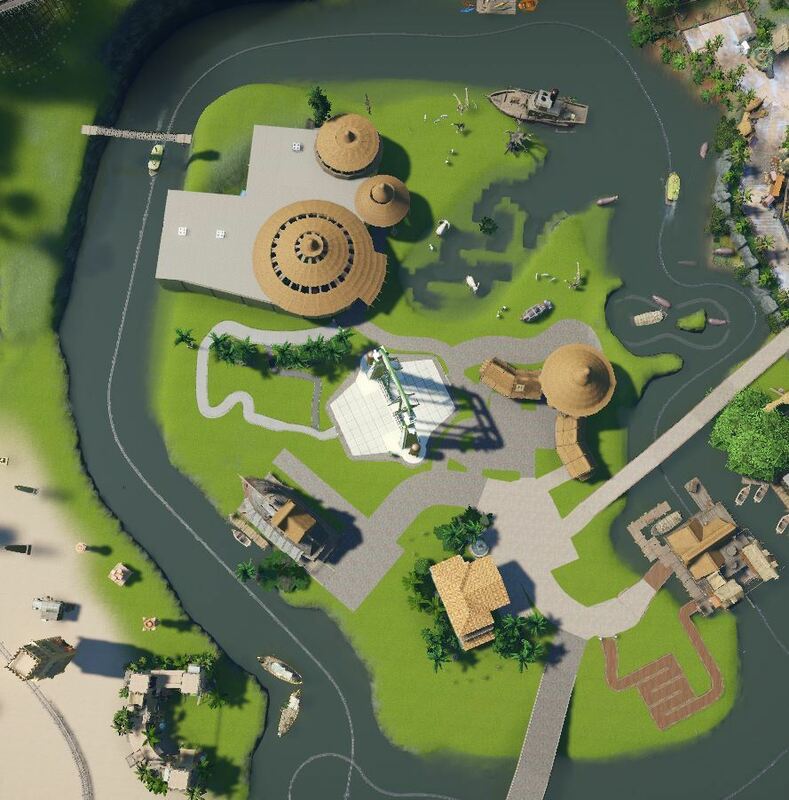 The orange will be Harambe Village. I have this area about 2/3 completed and will start to share photos of this area soon. The yellow Congo section will be next. 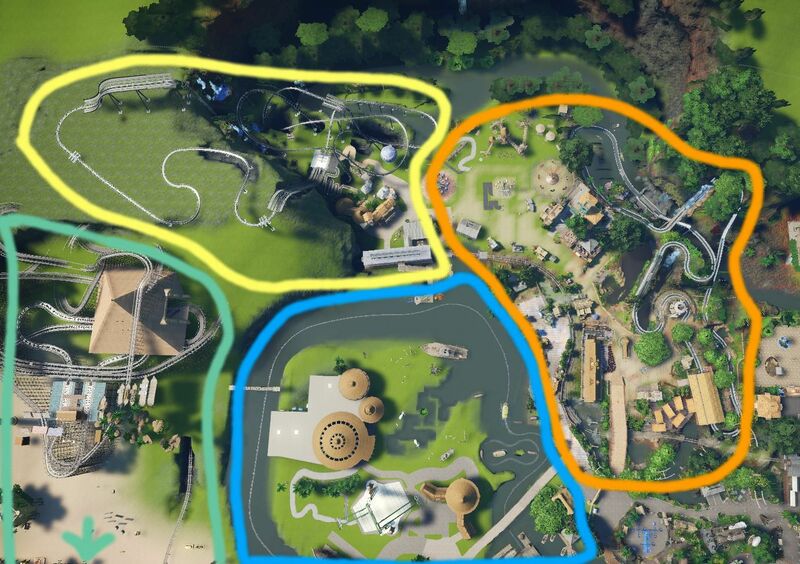 I have actually started placement of some rides and paths here to make sure they fit in with Harambe correctly. This will be a dead end area and guests will need to return back through Harambe, or catch the train to Egypt. The will be the blue section which is the Savannah Island...I know kind of contradicts itself, but I'm going with it for now as that is what it is. The green area will be Egypt, but that will be a mega land that will end up standing on its own. I may not work on the area until much later as I'm thinking of jumping over to South America after I complete the 3 sub-Africa sections. Here is what the Congo is looking like. 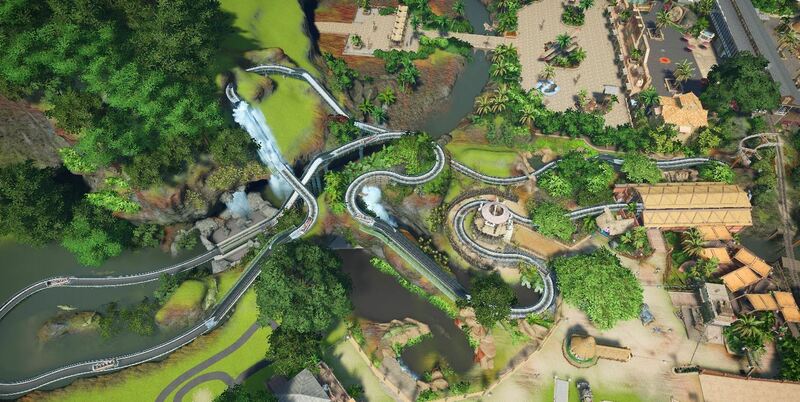 It will have a dive coaster as the main draw that will dive down a set of waterfalls. At the top section of the ride, it will slowly pass through gorilla and chimp exhibits. The will also be a small street and faux and real balloon rides. The Savannah area will have a high octane flat ride, restaurants and shops and animal viewing areas. Savannah Island seems like a pretty good name/concept to me. During the rainy season, the dry rivers and lakebeds fill up with water (for a while, anyway). I would imagine that there quite a few islands on the savannah during this time. The overheads confirm that this park is much larger (and you're much further along with building it) than I thought. And while I liked Star Wars, the layout here feels much more realistic and natural. Thanks guys. I'm having fun with this park (except for the terribly slow menu load times that damper the speed of building. Sometimes I forget what I was trying to access because it takes so long and I walk away from my desk while waiting). Here are the two main entrance arches to this area from the Port of Call. Yes, technically I know Harambe is part of Africa, so I may have to change the one sign at some point. 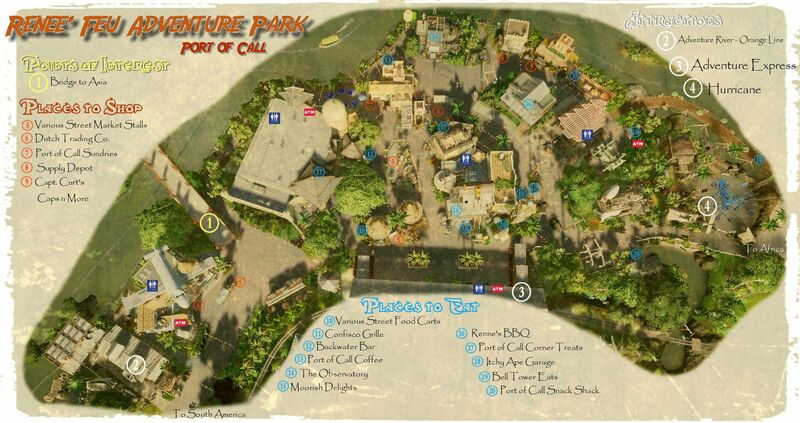 We will focus right now on the right side and explore the Harambe Village area in detail. (the other side goes to the bridge for the Savannah section of this land). After passing under the entry arch, you cross a bridge over the Adventure Express track. Looking over the left side of the bridge you can see where the train passes through this land and also the station for the chair lift. Page created in 0.203 seconds with 34 queries.